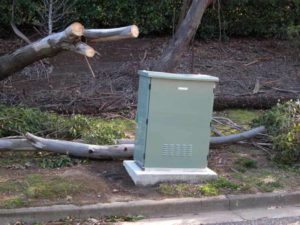 I mentioned that NBN is coming…. 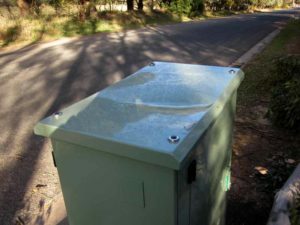 This NBN cabinet has been in place for about eight months, no electronics in it… but an important showpiece in the government’s desire to show that Malcolm Turnbull’s copper based NBN was on track. Empty cabinets probably persuaded some naive voters at the federal election earlier this month. The deception worked, Malcolm was returned, albeit with barely the majority to allow majority coalition government. NBN is a wholly government owned ‘enterprise’ operating on a ‘commercial’ basis. Who else could afford to spend capital on infrastructure that delivers no service. Anyway, as you can see, this cabinet was victim to a falling tree, and not a very big one at that, but big enough! As you can see, the tree fell fairly squarely on the box, though as can be seen in the first pic, it has tipped over a bit… probably the result of inadequate compacting of the excavation fills under the cabinet. 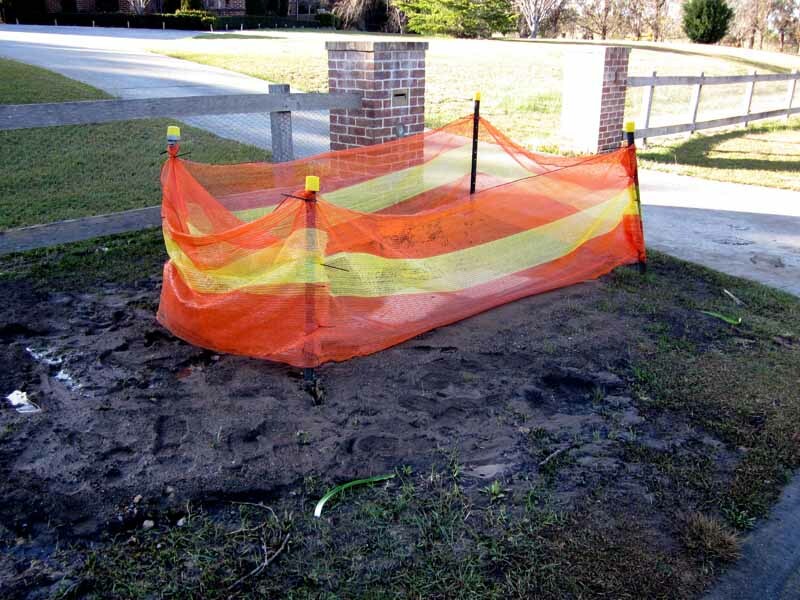 This pit has been attended to several times to rectify the scar on the footpath, and it is barricaded to prevent injury… but clearly the barricade needed to be three times the size. We await further developments, I should not be surprised if it takes some months to repair the damaged cabinet, permitting eventual fitout with electronics… and who knows, services by Christmas (but which Christmas? ).